Home / Angelos Bratis / Angelos Frentzos / Apostolos Mitropoulos / Celia Kritharioti / Delight / Deux Hommes / Kostas Martakis / Loukia / Madwalk 2012 / Maria Synatsaki / Sophia Kokosalaki / Vicky Kaya / Madwalk 2012 by Vodafone - The Fashion Music Project! - New Date! 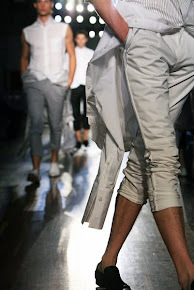 Madwalk 2012 by Vodafone - The Fashion Music Project! - New Date! 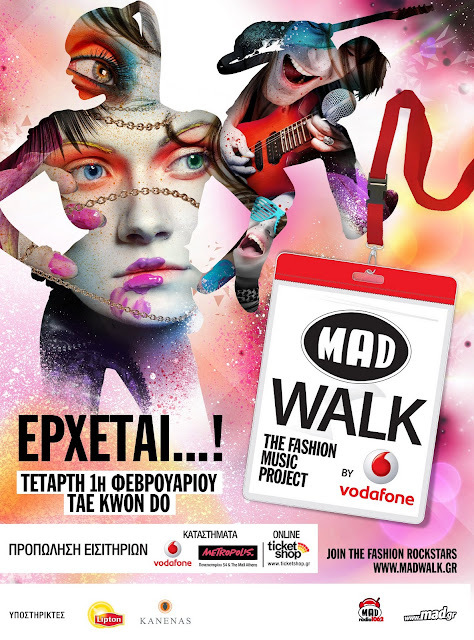 On the 8th of February the second Madwalk will take place at the Tae Kwon Do Stadion in Faliro, a suburb of Athens. A combination of live performances and fashion shows. Greek fashion designers like Loukia, Deux Hommes, DElight, Celia Kritharioti, Sophia Kokosalaki, Angelos Bratis, Angelos Frentzos and Apostolos Mitropoulos will be presenting the latest collections. And 8 artists will perform, among them Elena Paparizou. The presentation of the evening will be in the hands of Vicky Kaya and Maria Synatsaki. Kostas Martakis will be the guest host.